Gil Marsh by A. C. E. Bauer. 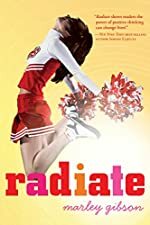 Review: Imagine having everything you ever wanted in high school, popularity, money, athletic and mental skills, and suddenly your best friend is taken away from you when you just have become close friends. In the book, Gil Marsh by A.C.E Bauer, Gil Marsh has to live with the death of his new Canadian friend, Enko Lebette. Gil Marsh has everything, girls, friends, top grades and he is the best runner in school. Then, a new student from Montreal in school is slowly taking this all away; Enko has become Gil's next target. Gil tries everything to make Enko look appalling, giving him terrible nicknames, turning everyone against him, but Enko still stays popular. Gil becomes furious when he finds Enko running on the rocks that he has always ran on every day. Gil and Enko start having a full out fight but just then, a police officer separates them; this is where their friendship begins. Gil and Enko become inseparable. They do everything together and never leave each other behind. One night after the homecoming dance, Gil decides to go to an apple orchard he always wanted to go to as a child. Enko goes only to support his friend, but a police officer finds them again and brings the two teenagers home. Not soon after, Enko becomes sick, but in the hospital, Gil never misses a visit. Every day, Gil sits with Enko. One day, Gil's mother gets a call, Enko is dead. Gil is furious, but he remembers the ring Enko had given him. 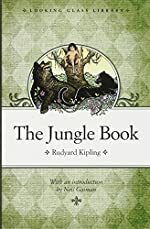 It was a family heirloom that had a legend of two youngsters madly in love and how the young boy bought a ring for the girl, but she soon dies, and the boy kills himself, much like Romeo and Juliet. Gil is devastated. He won't eat or sleep. Gil's parents have no time to take Gil to Enko's grave in Quebec, so Gil runs away to Canada. There, he meets Adele. Adele is a beautiful young girl who lets Gil stay in her apartment until he finds Enko's grave. But looks may deceive you. Gil then remembers of the legend of the ring and how an immortal man created the ring and can bring the dead back to life. Gil begins searching for the immortal man. Will Gil find him? Or will he be caught by the police and sent back home before reaching Enko or the immortal man? Overall, I felt this book was quite enjoyable. 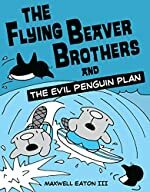 Although some elements of the book are fictional, I believe this is a loving book of a boy coping with the death of a loved one. I loved the metaphors and similes the author included in the book, they made the vivid images in my head come to life. Her descriptive words explaining every detail also made the pages come to life. I also love how she made Gil such a relatable main character. He is a teenager with a best friend he feels he can't live without. I also felt the idea of the book was a very important issue. 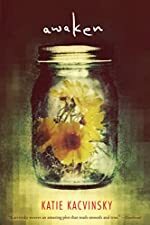 It discusses the importance of a friend and how hard it is to cope with the death of someone close through the eyes of a teen. One thing I feel that this book lacked was an ending that meant something. It left me wanting more because it was so abrupt. Besides this minor issue I thought this was a realistic and relatable that all young adults handling with the death of an adored person should read. 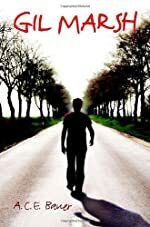 Gil Marsh is a story of a young teen trying to find answers for death. I feel I would give this book deserves four stars. Everyone who has ever lost a close friend should read Gil Marsh by A.C.E Bauer. We would like to thank Random House for providing a copy of Gil Marsh for this review. 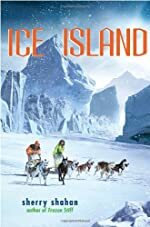 Have you read Gil Marsh? How would you rate it? Round and Round Together by Amy Nathan. Review: Intriguing, historical, and well written are all words that describe Round and Round Together by Amy Nathan. This is a nonfiction book devoted to helping people understand what really went on during the years of the civil rights movement. The story talks about one particular amusement park called Gwynn Oak. This was a park that people tried to integrate for many years. There are also notes of many famous people such as Dr. Martin Luther King and many others. Along with many other names that continue to pop up throughout the book. This is a story of how people came together and this story should be read by all people, black, white, Hispanic, or Asian. This story starts in Baltimore, Maryland in 1884. This is when Gwynn Oak amusement park opened its doors. But the doors were not fully opened. Only some citizens were allowed to enter the park and enjoy the rides that the park offered. Only white citizens were allowed in. This story shows the long and difficult path that led to this park and many other businesses to being open to all. The protests, sit-ins, and rallies start in the 1940's. People of all races and all religions started to get together on the fact that what was happening in America was unjust. Groups such as the NAACP, CORE, CIG, and churches of all religions started to come together in Baltimore and around the country. Anything from the Freedom Rides through the south, to rallies in Washington D.C., to sit-ins at lunch counters in Baltimore, people were trying to change the way that these people lived. But these were not the only people who were trying to be heard. There were people who supported segregation and they were loud and violent. The tactics used varied from mass arrests, to mass publicity, to Jail-No-Bail, to sit-ins. People were intent to make sure that everyone was and will be forever equal. People tried and it took decades but they managed to get it right. 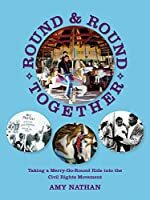 Round and Round Together is an amazing story of what people were forced to go through I love this book because it puts real names and real faces to a story that I have heard so many times. But Round and Round Together is different. You can see on a small scale what went on and on a large scale. It shows one place Gwynn Oak compared to a city, Baltimore compared to a state, Maryland and then compared nationally. Round and Round Together also takes you behind the scenes. You are able to see what people had to do to establish the civil rights we often take for granted. Amy Nathan sheds light on the civil rights movement unlike any other author ever has. She outlines the people who really tried to make a difference and not just nationally but business by business. I never realized how long this fight was really going on. That people tried for thirty years to integrate the nation. I never fully comprehended how many people, how much time, and how much effort went into changing the nation. This should be read by everyone and this tale be told forever more. With Round and Round Together you have the chance to see and understand more than you ever have about history. It shows that it only takes a few people to get the ball rolling and then you can accomplish so much. Establishing civil rights was like walking on a new frontier. The nation came together and knocked down a new barrier. We can all learn from Amy Nathan and her story about people who are devoted and their ability to change the Earth as we know it. We would like to thank Raab Associates for providing a copy of Round and Round Together for this review. Have you read Round and Round Together? How would you rate it? The Mighty Miss Malone by Christopher Paul Curtis. Review: The Malones are "a family on a journey to a place called Wonderful!" And author Christopher Paul Curtis shows us that journey in that book, The Mighty Miss Malone. This story of love and adventure takes you through the life of twelve year old, Deza Malone. As the plot thickens, we learn more and more about what it was like to live during the Great Depression. Deza Malone is your average African American lower class child living during the Great Depression. Deza lives in Michigan with her older brother Jimmie, her mother, and father. Jimmie sings with the voice of an angel, but often gets in trouble because of his insecurities. Deza's parents are some of the nicest people in the town. Deza loves her family dearly. Her life seemed perfect, at first. But soon, her father left on a fishing trip and didn't come back for several days. The family searched for days on end and after a few weeks, they found him! He brought with him stories of terror about what had happened to him. Now, things were back to normal; or so they seemed. Suddenly, Deza experienced another surprise. Her father left in the middle of the night to go find work in the city. They never heard back from him. As time passed, the Malones just hoped and "went through the motions" of life as they waited for something to happen. At last something did happen, but it wasn't good. Deza, her mother, and Jimmie were kicked out of their home by their landlord. Now they were on the road in a small camp for homeless people on the move. Soon they get accustomed to living there. But, another unfortunate turn of events occurs! Jimmie leaves Deza and her mother on a nearby train, to see if he can find work as a singer in the city. Will they ever see Deza's father or brother Jimmie again? Or, will Deza ever find a real home? You'll have to read it to find out! The Mighty Miss Malone was fantastic! Deza's inspiring story makes you wonder what you would do in her position. Curtis' amazing writing draws you into the story until you don't even realize that you're reading a book! I could not put this book down. And, I'm sure you won't be able to either. The Mighty Miss Malone helps you to realize the very strong and real racism that occurred during this time. I find it awful how terrible African Americans were treated by others. Also, the heart wrenching story of Deza Malone and her family really makes you feel for her. Very few authors can make you feel this way. But, Christopher Paul Curtis is a true professional. The Mighty Miss Malone is factual in terms of US history, and at the same time expresses true love within a family. 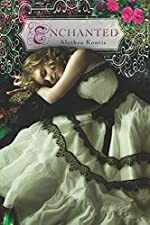 The Mighty Miss Malone is the perfect book to read if you enjoy stories about how love perseveres during times of crisis. We would like to thank Random House for providing a copy of The Mighty Miss Malone for this review. 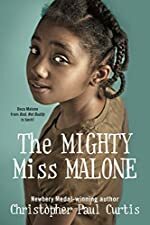 Have you read The Mighty Miss Malone? How would you rate it? Those That Wake by Jesse Karp. Review: Imagine your family forgetting you ever existed. Those That Wake by Jesse Karp is a good book about a drab future where Mal's, Mike's, Laura's and Remark's relationships are severed. Karp's book details these difficulties in the drab setting of an electrically powerless New York City. To weaken the main characters' future, a man in a suit, who currently dominates New York City, has erased the memories from Mal's, Mike's, Laura's and Remark's families. Therefore, they are left confused and alone. At the beginning of the book we meet Mal. He discovers his brother has been kidnapped. Laura, another main character, learns her parents no longer remember her. The final main characters, Mike and Remark, meet each other for the first time in a school. However, once inside the school, they are engulfed by shadows. But there aren't any people or objects to create the mysterious shadows. The characters spend the rest of their time trying to solve these mysteries. Overall, Those That Wake is a good book. Although the book drifts off in some places, for the most part, it will keep readers hooked, making it difficult to put down. Therefore, this is one of the best science fiction books I have read. 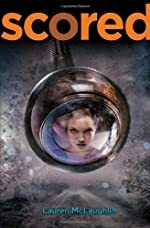 Unlike other sci-fi books, the story is unique because it doesn't focus on robots or aliens. It encompasses a future without electricity, detailing our reliance on technology. Furthermore, it focuses on relationships and the importance of staying connected with others. This book is a story with a lesson for all times; by working with others, anything is possible. Those That Wake by Jesse Karp is great for days at home, on the road or at the beach because it keeps you entertained for hours without boredom. 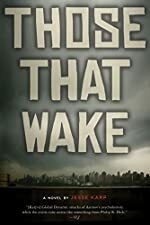 Those That Wake by Jesse Karp is a must read for science fiction fans. I give it four out of five stars. We would like to thank Houghton Mifflin Harcourt for providing a copy of Those That Wake for this review. Have you read Those That Wake? How would you rate it?